One Good Buddy Cop Movie!!!! 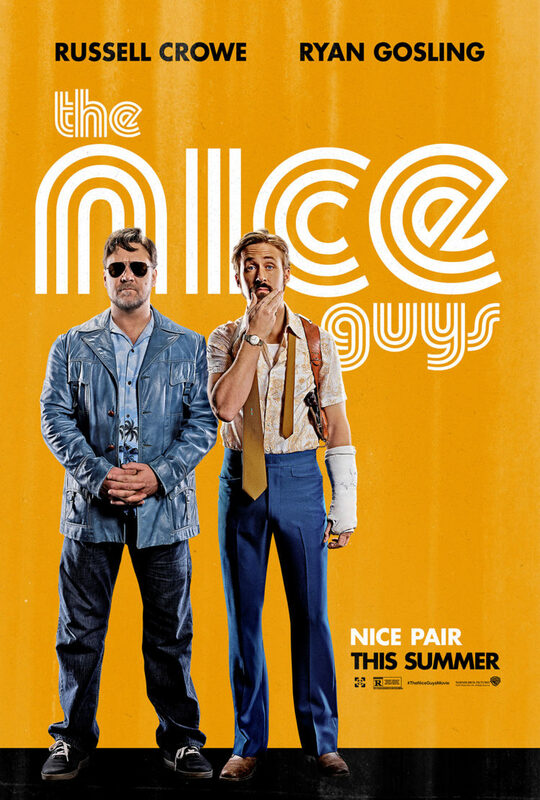 The Nice Guys is written and direct by Shane Black. He wrote the Lethal Weapon 1 and 2 along with directing and writing Kiss Kiss Bang Bang and Iron Man 3. The movie stars Russell Crowe and Ryan Gosling as Jackson Healy and Holland March. The film is set in 1970’s Los Angeles. The Nice Guys is a hilarious film. Holland March is a single father private eye investigator that is currently looking for a girl named Amelia. Jackson Healy is for hire enforcer who Amelia hires to detour March’s attempts to find her. Healy is attacked at his apartment by a few thugs looking for Amelia, and realizes there might be more than meets the eye to Amelia. He hires March to find her, and together they start to uncover a conspiracy about Amelia’s occupation. The Nice Guys is very entertaining and comedic film. The chemistry between the two main actors really drive the film. Crowe and Gosling play off each other well and are reminiscent of Danny Glover and Mel Gibson in the Lethal Weapon series. The audience laughed a lot when Crowe and Gosling were on screen together. The sequel could be in the works depending on the box ffice results. Overall, The Nice Guys is a well directed movie with a lot of suspense and twists. It does have slow parts like any good comedy. Crowe and Gosling work really together and definitely could appear in other movies together. The costumes and feel of the film make the audience feel they are in the 70s. The Nice Guys gets a 4 out 5. Is it really a Civil War? Captain America: Winter Soldier was a giant box office hit in 2014. Audiences came out of theaters wanting more Captain America movies. Marvel Studios announced later that year that Tony Stark (Iron Man) would be a character in the next Captain America Film in order to adapt the Civil War storyline from the Marvel Comics. The studio added more excitement from audiences when they announced Black Panther and Spider-Man would be added as characters. Captain America stars Chris Evans as Captain America but also Robert Downey Jr. (Tony Stark), Chadwick Boseman (Black Panther), Tom Holland (Spider-man), and the rest of Avengers including Paul Rudd (Ant-Man) and Sebastian Stan (Bucky Barnes aka. The Winter Soldier). It’s been one year since the fight with Ultron has leveled Sokovia, and the Avengers are solid cohesive team that are hunting Crossbones (Brock Rumlow, Frank Grillo). They track his location to Lagos and several Wakandas are killed when they attempt to capture him. The United Nations comes agreement called the Sokovia Accords. A governmental panel would have the authority to send the Avengers on missions, and the Avengers have no say where they go. Naturally, this agreement causes a rift between Captain America and Iron Man. The situation becomes more complicated when Bucky Barnes (the Winter Soldier) plants a bomb and assassinates the King of Wakanda. Captain America must decide to sign the Sokovia Accords or break the law by taking Bucky Barnes into custody, the Winter Soldier and his longtime friend, since vigilantes are outlawed. The negatives of the film are that Vision and War Machine have little to do in the film. Vision was the coolest character in Avengers: Age of Ultron suffers a downgrade in this film. He has very little screentime, and his motivations for signing the Slovakian Accords are never fully explained. War Machine (Don Cheadle) joins the Slovakian Accords but his motivations are not fully explained either on signing the Slovakian Accords. The audience doesn’t know if it is his history with the government, his friendship with Tony Stark, or if he feels like it is the right thing to do. The other negative about Civil War is the government forcing superheroes to sign the accords. Personally, the introduction to the government wanting to control superheroes feels rushed. The film never fully resolves conflict between the two teams about governmental control. Marvel Studios and the filmmakers should have waited to introduce this storyline by itself or waited after Thanos shows up in Avengers: Infinity Wars. The two sides square off once and it’s a disappointment to only see them fight once. Captain America: Civil War has a ton of positives and there are too many to describe. The two main themes are friendship and revenge. Bucky Barnes and Steve Rodgers have a friendship that stands the test of time. The Winter Soldier is highly sought after in the movie for reasons. The government thinks he is a terrorist or Black Panther blames him for killing his father. With all of this going on, Captain America finds himself in the middle trying to protect his friend and his belief puts him wrong side of the law. Iron Man, Zemo (Daniel Bruhl), and Black Panther are vengeance driven throughout the film. The three characters take specific actions to retaliate something or someone based on their current beliefs or that happened in their past. The revenge plot is really the backbone of the storyline. Spider-man and Black Panther are perfect additions to the Marvel Cinematic Universe. Spider-man is nailed perfectly by Tom Holland, and he nailed all of Spider-man’s mannerisms, attitudes, sarcasm, and background. Peter Parker is a dumpster driver in the movie. Tony Stark even makes fun of him for that. Tom Holland and Robert Downey Jr. have perfect chemistry together onscreen while playing Spider-man and Iron Man. Downey Jr. will appear in Spider-man: Homecoming next year because of the chemistry with Holland. Black Panther was the other great audition. Chadwick Boseman had a distinct African accent. He would command the audience’s attention while on screen. He played a vengeful forceful Black Panther. He and Holland made the audiences buzz about their performances while leaving the theater. 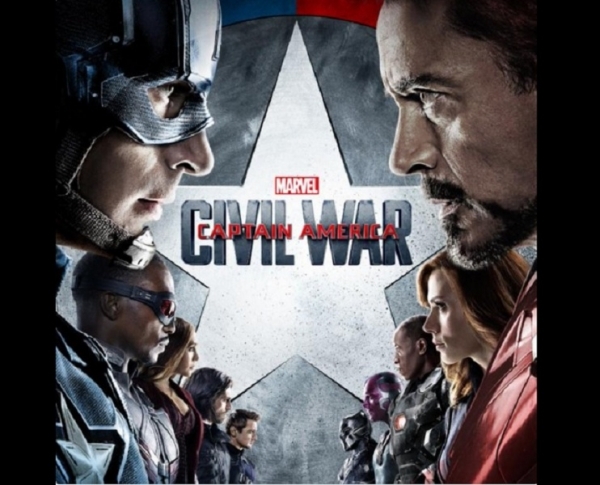 Overall, Captain America: Civil War is a good movie with a lot of suspenseful action. Spider-man is so perfectly played to a T along with Black Panther. The film does a great job in making audiences understand different character’s point of views. Captain America: Civil War gets a 4 out of 5. The last Superman movie, Man of Steel, divided many fans and critics. People were instantly excited when Warner Bros and Zack Synder announced at 2013 Comic Con that Batman would be in the next Superman movie. Batman V. Superman has a 31% on Rotten Tomatoes from the critics. However, fans have said screwed the critics and either really enjoyed or liked the movie. 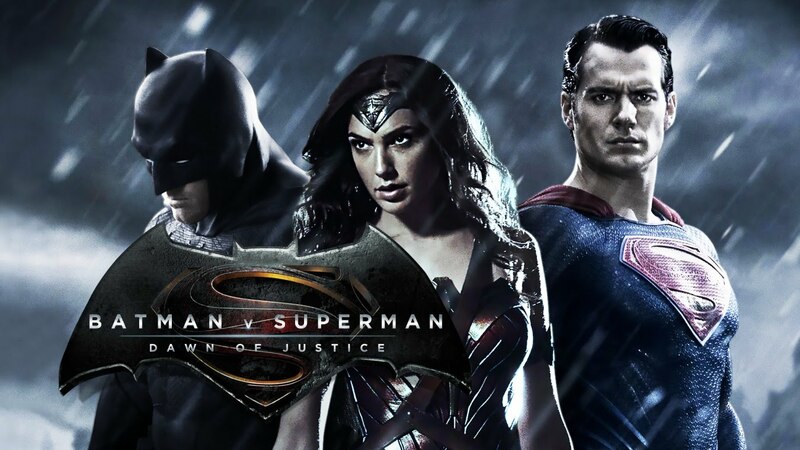 The fans have one more joining their opinion on Batman V. Superman. Batman v. Superman is a good movie but could be better movie. Bruce Wayne (Ben Affleck) is a witness to Superman’s (Henry Cavil) and General Zod’s epic battle that destroys most of Metropolis. The battle and destruction of Wayne Tower leaves Bruce scarred and full of vengeful rage towards Superman. 18 months later, the question still remains “Is Superman a trustworthy force of good” in the world. The Senate debates the question while Lex Luthor (Jesse Eisenberg) is secretly manipulating behind the scenes of politics and using other methods to destroy Superman. His actions eventually lead to a giant conflict between Superman and Batman. However, there is an enemy lurking in the wings and an ally waiting to revealed for Batman and Superman have yet to discover. Lets start with the bad first. No, it’s not Ben Affleck as Batman/Bruce Wayne or Jesse Eisenberg as Lex Luthor. The worst part of the film is poorly edited first hour of the movie which tries to add subplots in the movie. The scenes are choppy and jump to quickly to another scene involving a different subplot. One scene particular is Bruce Wayne and Alfred (Jeremy Irons) discussing attending Lex Luthor’s party to obtain Luthor’s knowledge about how to deal with Superman. 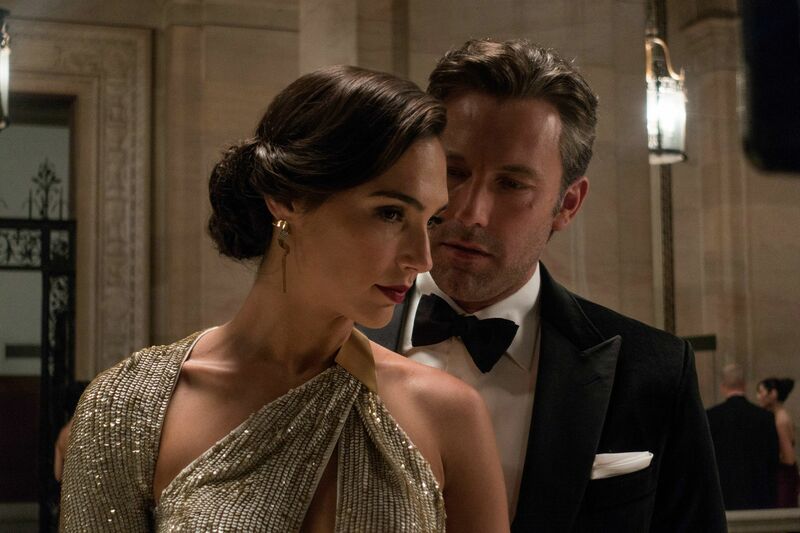 The scene has maybe 5 lines of dialogue between them, and doesn’t give the audience a chance to emotional connection to the pair like in previous Batman movies. The scene shown in the trailers when Bruce Wayne and Clark Kent banter with each other about the role of Batman and Superman is interrupted to soon. After the dialogue, there is no tension because Lex Luthor immediately steps in and breaks up what could be an epic stair down. My final complaint about the movie is how Lois Lane (Amy Adams) is the problem solver in every mystery in the movie. Even though she is a journalist, Lois is overused and not allowing the other characters to solve problems themselves. However, the good outweighs the bad. Batman V. Superman has many positives. For one, the portrayal of Lex Luthor by Jesse Eisenberg is perfect. Luthor is a devious sociopath that is obsessed with one thing, to destroy Superman at any cost. Eisenberg brings a lot of cockiness and intelligence to Luthor and probably is the best version of Lex Luthor in film history. Secondly, Ben Affleck is a great Batman. He has the rage and vengefulness that drives Batman. He is brutal but doesn’t cross a line. Affleck’s Bruce Wayne is decent but not the best ever. The acting overall is tremendous. Third, the plot is not that bad. Even though the first hour is very choppy, the plot of the movie is enjoyable. The character movitations are clear maybe besides Superman wanting to take down Batman. Wonder Woman (Gal Gadot) teaming up with the pair is a great scene in the movie and advances the plot too. That’s not fully explained but the plot has quite a few twists. The twists allowed the cameos leaving the audience wanting Justice League sooner. Although, those cameos could have been handled better. Finally, the action in the movie is completely enjoyable. The action scenes make this movie really enjoyable than Man of Steel. The action wasn’t over the top which allowed the audience really keep focus on the plot. The strong acting made the action allowed the audience to become emotionally invested. Overall, the weak first hour of the movie of shortchanging scenes and the overuse of Lois Lane as plot point drags Batman V. Superman down. However, Eisenberg made a strong villian, and Affleck was a exceptional Batman. 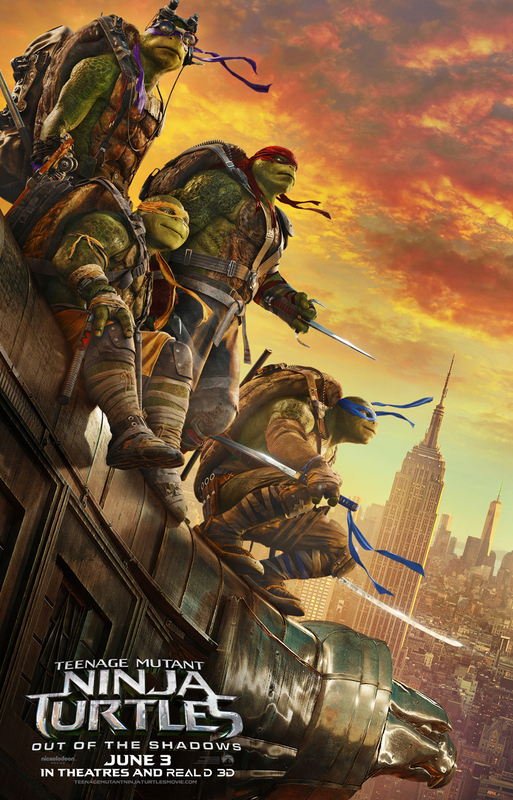 The action was great and the plot was still good eventhough it was shortchanged. Batman v. Superman gets a 3.5 out 5.